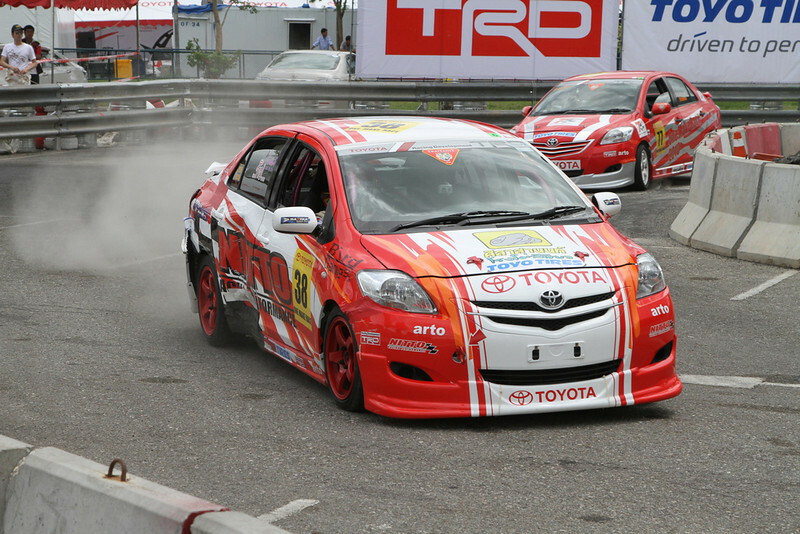 Although not quite as ambitious as Honda’s effort at Ratchapruek a couple of years ago, Toyota put on a big show with a few fun (and pretty scary if you were standing right by the track) driving exhibitions and then some races which I could only stay for one of. Not many farangs there as far as I could see but very well attended by Thais who were all attracted by the flashy Yaris, Vios and Vigos on show. And definitely not the other models.